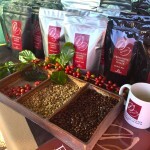 Australian Grown Coffee | Ewingsdale Coffee Australia Coffee Bryon Bay. Australian Grown Coffee. 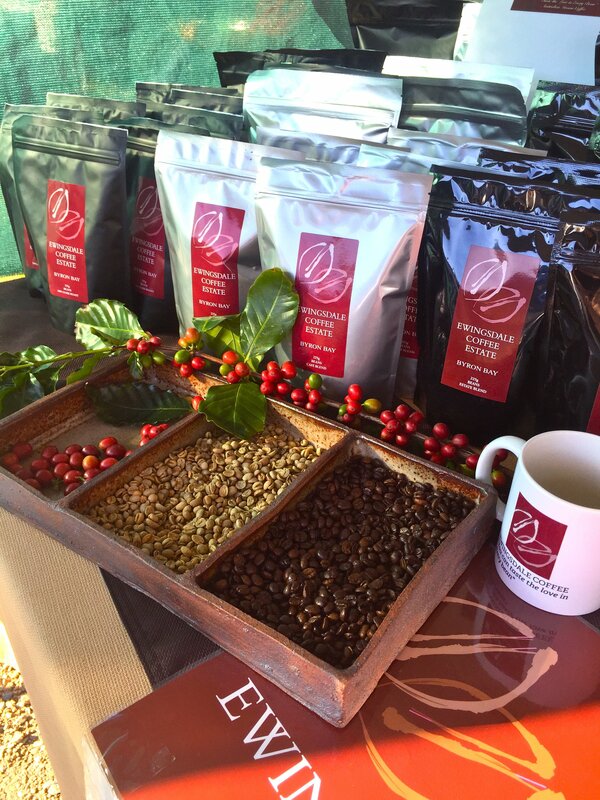 Ewingsdale Coffee Estate, situated at the gateway to Byron Bay produces 100% Australian grown coffee beans. It is wholly Australian owned and operated. As a specialised boutique estate, we aim to produce a consistent, high quality locally grown product. Our coffee is a blend of Arabica varieties (Coffea Arabica). The coffea plant is a genus of the Rubiacea family. The two most well known species are; coffea arabica and coffea canephora (robusta) species. Coffee is an equatorial plant that grows between the tropics of Cancer and Capricorn. The varieties of coffee grown on our Australian Estate are a selection of three types of the Arabica plant. Coffeee grown on Ewingdale estate are characteristically low in caffeine and has a sweet nutty flavour and mellow aroma. 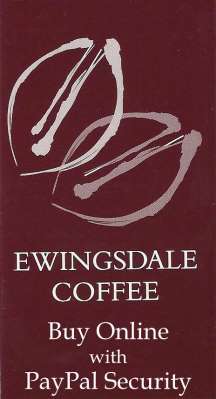 Ewingsdale Coffee is grown on rich volcanic soil. We believe in using organic principles and methods at our plantation. Our coffee plantation is spray free. Combine this with our ideal climate for the production of coffee at Byron Bay and it all adds up to the perfect recipe for an outstanding coffee. Our coffee cherries are handpicked, fermented in rainwater, sun dried and master roasted to perfection,then blended to give you an outstanding Australian coffee. at our local community markets or a retail outlet near you. In Australia coffee has been growing since the 1800’s. In fact Australian coffee from our region won awards in Europe in the 1880’s. Australia’s coffee industry made a resurgence in the middle 1980’s with Byron Bay being home to some of the finest coffees grown in Australia. 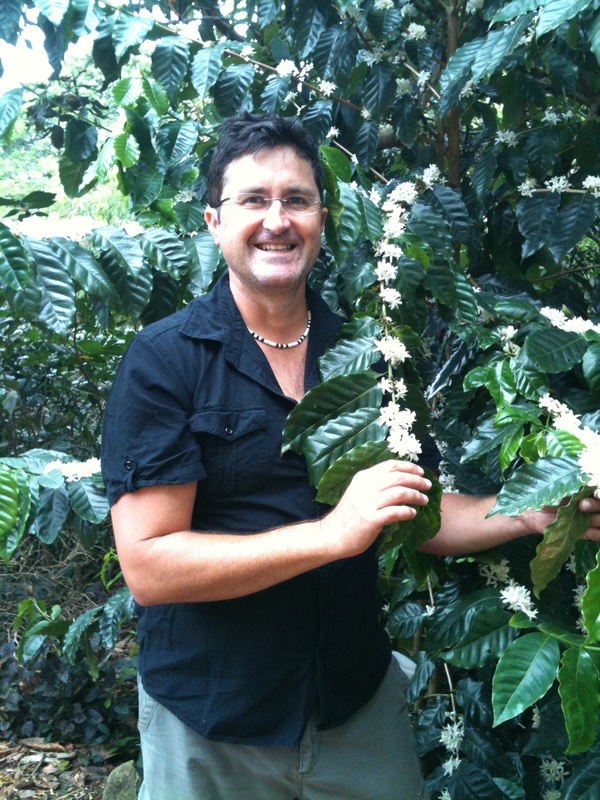 Coffee can now be found growing as far south as Coffs Harbour to far Nth Queensland. The plantation at Ewingsdale was established in 1994. All coffea trees are capable of bearing blossom, green fruit and ripe fruit simultaneously on the same branch, which is why it is advantageous to ‘hand pick’ the coffee. After heavy rains during our summer, flowers which are creamy white, develop in clusters and produce a fragrance similar to jasmine. These flowers only last a few days and are soon replaced by clusters of green berries. Around 9 months of maturation is needed and when the cherry is ripe (red) the coffee is ready to be harvested. 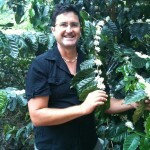 Harvesting our Australian grown coffee by hand ensures that only the ripe cherries are selected. We can return later and harvest again from the same tree as the cherries ripen. Plantations that machine pick can suffer losses of up to 30% of the green fruit and due to financial and or contractor time constraints, may only be able to use a machine twice during harvest. A typical Arabica tree produces around 3 – 8 kilos of cherries. The beans are extracted using a washing or ‘wet process’ method. The Arabica beans are generally larger, longer and flatter than ‘Robusta’, contain less caffeine and have a delicate, acidic flavour.